Our website is not in any way responsible for the description or additional information related to the GHOST presented here. 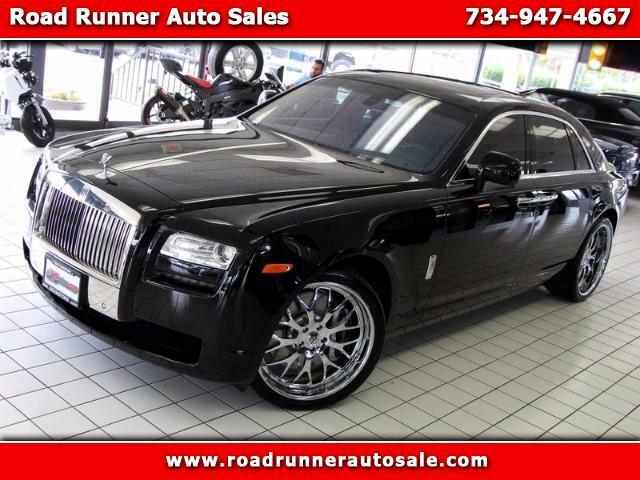 We are not an official representative of ROLLS-ROYCE and do not claim to be an authorized source for this 2010 model. What you can do, however, is reach out to an independent individual who is specialized in the auto industry. Such a person will be able to give you some information about this model. Although we firmly do not accept liability for this vehicle, we welcome you to inform us about any errors you might detect in this description. We will do our best to update the product details as soon as possible. Nevertheless, we encourage you to not rely on our company as your sole source of research for this ROLLS-ROYCE. Thank you for understanding and we hope this is the right car for your needs.